Unchanged rates for landed homes and industrial came as a surprise. In Singapore, the development charge (DC) rates on three use groups – commercial, non-landed residential, hotel/hospital were raised effective September 1. This is a reversal from the last revision in March 2016, where the DC rates for the three mentioned groups were decreased. Analysts note that while the upward revision in the DC rates for commercial and non-landed residential use groups did not surprise, but the fact that rates for landed residential and industrial use groups have been left unchanged raised eyebrows. According to Christine Li, director of Research at Cushman & Wakefield, the increase for commercial and non-landed residential could be attributed to the increased interests and transaction volumes for the non-landed residential and commercial segments particularly in the second quarter of 2016. For the commercial segment, she noted that capital market has shown little signs of price retreating compared to the last 6 months on the back of increased market activities. The commercial use group saw an average 0.6% upward revision in DC rates. In 2Q2016, total real estate investment sales amounted to S$7.22 billion in the second quarter of 2016, surging 205% from the previous quarter, and is the highest in 11 quarters. Li said that the boost in sales was due to multiple big-ticket office transactions during the quarter. For instance, BlackRock divested Asia Square Tower 1 for S$3.4 billion to sovereign wealth fund Qatar Investment Authority (QIA). This translates into a price of approximately S$2,660 psf for the premium office development, which was completed 5 years ago in 2011. Straits Trading building, meanwhile she said, was sold to MYP controlled by Indonesian Tycoon Dr Tahir, at $3,520psf, a record psf price for a 999-year leasehold commercial building. This is reflected in the largest increase of 5% in Sector 11 covering Shenton Way, Raffles Quay, and Marina Bay Financial Centre. Tay Huey Ying, Jones Lang LaSalle Head of Research, Singapore also added that the triggering of the Central Boulevard GLS white site in Sector 11 further reinforced the return of investor interest and confidence in office properties, particularly within the CBD. Hence, it is not surprising that DC rates for the commercial use group have been revised upwards in spite of the current soft occupier demand and rental conditions for the office and retail properties, she said. The DC rates for Residential (non-landed) also rose 2.7% on average after two straight years of contraction. Li explained that this is on the back of improved sentiment particularly in the high-end residential market. The largest increase of 12% was registered in sector 48 comprised by River Valley Road, River Valley Close, Kim Yam Road, Martin Road, Martin Place, and Mohamed Sultan Road. According to Li, this is in line with the recent uptick in the residential sales in OUE Twin Peaks where a deferred payment scheme was well-received by both the local and foreign buyers. The Martin Place site in sector 48 drew a total of 13 bids with the winning price of $1,239 per sq ft per plot ratio representing the highest unit land price ever received for a pure residential GLS site. JLL’s analysis showed that the transacted price was 42% above the land price imputed by the sector’s DC rate prior to this latest revision. In June, GuocoLand also beat 12 other bidders in a government land tender exercise and offered $595.1 million for the almost 1.6-hectare site, which translates to a price of $1,239 per square foot plot ratio (psf ppr). This is the highest unit land price for a pure residential site sold at a state tender since 2009. “The move to increase the DC rates reflects the stablisation of the residential market and an early sign of bottoming out in the high-end segment,” said Li. JLL’s Huey Ying concurred while adding that the Chief Valuer had probably given due regard to the improving market sentiment in the non-landed residential segment, reflected in the 60% q-o-q increase in overall sales volume in 2Q16 and moderate decline in the all-residential private property index for three successive quarters since 4Q15. Citing recent data from Urban Redevelopment Authority (URA), Huey Ying said that Core Central Region’s price index turned around after 11 consecutive quarters of contraction to post two successive quarters of 0.3% quarter-on-quarter growth in 1Q and 2Q16. The Rest of Central Region’s price index had also firmed, holding stable in 1Q16 and posting a marginal 0.2% q-o-q growth in 2Q16. An EC site at Anchorvale Lane in Sector 100 also registered a bullish bidding, attracting a total of 16 bids with the top bid coming in at $355 per sq ft per plot ratio. According to Huey Ying, the last time an EC site drew that huge a turnout was in 2013 for the Lake Life EC site. She explained that although the strong interest garnered for these two sites can be partially attributed to the scarcity of prime residential and EC sites on the Government’s GLS confirmed list, developers’ optimistic outlook on the demand and prices for prime homes and ECs when the project is launched for sale in 2017/18 would have played a key role too. According to Huey Ling, it came as a surprise that DC rates for the landed residential use group have been kept unchanged as this appears to run contrary to market trend. 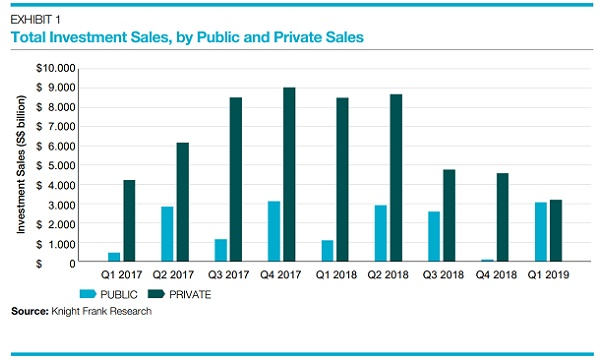 Citing data from URA, she notes that all-property private residential price index, prices of landed homes have eroded by a total of 12.5% since trending down in 4Q2013, yet the DC rates for this use group have been left unchanged at March 2014’s rates. Another surprise, Huey Ling said, was the fact that DC rates for the industrial use group have been left unchanged despite some evidences of weakening land prices amid the protracted manufacturing sector slump which has seen many plants operating at excess capacity. “Some downward adjustment in DC rates for the industrial use group would better reflect the ongoing soft industrial market condition,” she said.